You Guys. Its finally happening. After months of stewing over it, convincing myself, tons of research, fabric buying and sewing like crazy in between dealing with my psycho, super adorable baby...I am really doing it. 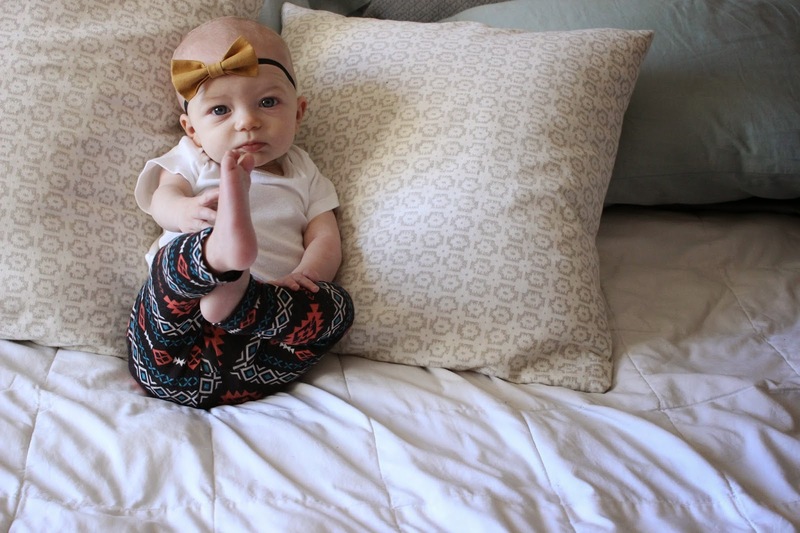 I am opening my Etsy shop Baby Lyla's Leggings. That's a boring name, right? I know. I looked at everyone else's shop names and they are crazy adorable and cutesy. And mine is just straight up exactly what it is. But I decided my shop name is like me. Straight forward. Not cutesy with a lot of fluff. I'm ok with that. Truly, the only reason I got into this was because of making leggings for Lyla. So it seemed fitting. Lyla turned out to be a string bean and was drowning in all of her pants. So I started making her some. And then people started asking me about where I got them. And I told people I made them for her. And people thought that was pretty cool, apparently. And asked for some. So, nearly 6 months in to this adventure, I think I am ready to dive in, officially. Being a little dramatic, am I? Maybe But this is a big deal for me. I love working and making my own money and being creative. But it has been incredibly hard with being a new mom at the same time. I went from a working (out of the home) wife, to a stay at home mom (which is soooo much more work, for me at least). And it was hard! So get ready guys, I am launching my shop Friday February 27th. For updates about the opening, or to get special deals and promotions be sure to follow along on Facebook and Instagram.